Okay. Everything seems in order. Who knows the customer’s data better than the customer? They have an IT department, executives, managers, and the tools necessary to evaluate the data. We as consultants will provide them with best practice tips and assistance. We will even handle the migration. Then the strangest thing happens. When Salesforce is configured and we are ready to load the data, we find that the data really doesn’t match what we created to expose and manipulate it. It’s a square peg in a round hole. The world stops. 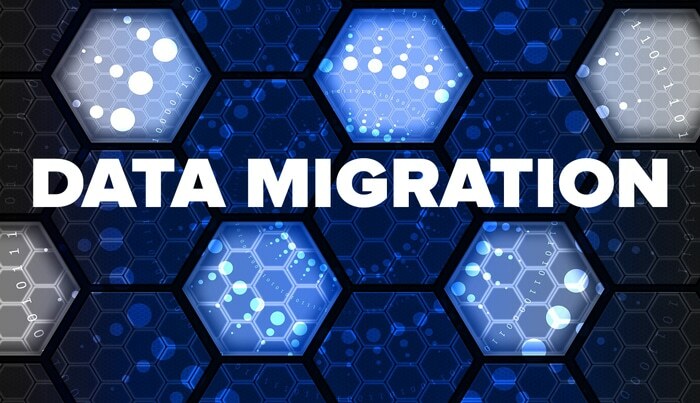 Data migration, in my opinion, is not given the weight it deserves. It represents a significant change. The mere mention of migration is enough to put your whole staff on edge. In my 25 years of data experience, I’ve witnessed all types of data migration gone bad, and it is preventable. By focusing on five fundamental elements of data migration—data, processes, transformation, transparency, and adoption—you can minimize the fears and frustrations and instead integrate best practices for a smooth transition. Data analysis needs to be one of the first steps in the engagement. It cannot take a back seat to design and development because it drives design and development. So let’s look at the five key elements for a smooth migration in the context of Simplus’ engagement with Akron Brass, a manufacturer of firefighting equipment. Nothing is more important than data, yet it is often overlooked. Data can tell you where you have been, how your processes have influenced what is collected, and—most importantly—what is missing. Because there’s so much critical intel in the data, it helps to have an objective eye looking at the data when you’re migrating. Objectivity is important because you need to be able to look at the entire picture and not skew toward data points that are more important for your own department. Simplus objectivity as a third-party during the migration helps us to evaluate your data without bias, which enables us to make recommendations based on your business goals. When Akron Brass was acquired by a parent company, IDEX, along with other companies, data from each company was inconsistent and duplicated. The migration they faced required extracting, consolidating, and transforming data into a Salesforce-compatible format, and Akron Brass did not have the resources needed to self-implement. Simplus partnered with Akron Brass, and we were able to clean their data so that there was a successful merge, despite each company having different data taxonomies and CRM instances. Before embarking on a transition to Salesforce, our team wants to know everything about your business processes and how they will impact the implementation. Based on that information, we’ll be able to develop your implementation in a way that improves your bottom line. Our goal is to help you understand that good business processes yield good data. “Great companies need a grand vision and important goals,” says business author and CEO of Futurethink, Lisa Bodell. “Processes are supposed to help organizations scale up and improve efficiency for new hires and existing employees.” We consult with you to make sure that Salesforce makes your processes more efficient and scalable. With Akron Brass, we aligned with leaders and workers across the entire business, which included distinct and “duplicated” business unit accounts, shared fire department accounts and joint sales processes. We worked closely with each department to truly understand not only what they needed, but the “why” behind each need. Transformation can be the most time-consuming and difficult part of data migration. That’s why our first step is looking at the state of the data itself and the business’ reasoning for the current data state. Once we have that information, we go to work, morphing the existing data into what you will need today and in the future. Sometimes, transformation takes the shape of simply mapping the corresponding fields, but it can often turn into cleansing bad data. Either way, we’re prepared to help. We will take your data to the level it ought to be: correct and usable. During the Akron Bass data migration, the Simplus team immediately proposed a new course focused primarily on data cleansing and migration. Simplus assumed an advisory role, recommending changes to the Salesforce infrastructure based upon proof-of-concept demonstrations. During the engagement, we never lost focus of the end user. Instead, we used our knowledge of Akron Bass’ existing CRM to compare and contrast the two systems, and we spent time demonstrating how the same processes could be accomplished in Salesforce. Transparency is vital to making sure the data migration happens according to both client and consultant expectations. With a clear knowledge of what the data looks like, potential problems can be addressed, areas for improvement can be realized, and adjustments can be made accordingly. Data early, data often. That was the case with Akron Brass. We provided transformed data samples to the leadership as quickly as possible. Visualizing what the data will look like is a game changer. It uncovers gaps in the data and inconsistencies in the user interface design. Doing such an analysis with Akron Brass sparked many conversations, additional data cleanup, and a considerable number of adjustments to the configuration. Knowing all this early on saved both money and time. We kept under budget and on schedule. Your team is likely going to see a platform transition as directly impacting productivity, commissions, and stress level. We focus heavily on change management as part of our consultation process. We involve every layer of your business from end to end, which means that there’s more buy-in. We understand that if leadership is not confident and excited, the end-users won’t be either. Not only is there a greater sense of ownership when you focus on adoption, but there’s also a better understanding of the benefits the change brings: saved time, simpler processes, a reflection of company virtues, clear path to reaching goals, etc. After the implementation, we stick around to ensure that there is adoption from your company and someone available to quickly answer questions or solve issues. For Akron Bass, adoption was a challenge. There were multiple corporate entities with very different business models that were using the same Salesforce instance. We implemented standard processes across the board while still allowing for differences in industry and business operations. We worked closely with our primary contact to create proof-of-concept configurations and ran those through scenarios. This ensured that everyone was on the same page. Our primary contact then took up the mantle of training individual teams (who then became the internal subject matter experts as a result). Our focus on training led to widespread adoption and a great organizational understanding of Salesforce at Akron Brass. The key to a successful data migration is to focus on the big picture. Get back to basics: data, processes, transformation, transparency, and adoption. That’s the Simplus difference at work: we dive deep into the data and your business processes and digitally transform your organization with successful adoption. Your company will open new doors to greater productivity, efficiency, and growth by focusing on these five elements. Michael is a Technical Architect here at Simplus. 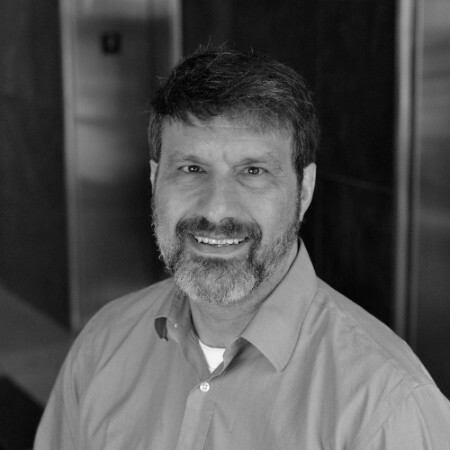 He has over 26 years’ experience in software development, business process design, and system integrations. He is passionate about forging strong customer relationships, comprehending the true needs of the business, and engineering solutions that surpass the initial goals of the project. For help with your data transition, contact us at Simplus today.